What are they putting in the water in the Keystone state? It turns out that Penn State Lunar Lions team announced plans to get launched to the moon as well. They have made a deposit for a ride in the fourth quarter of 2015 through Team Phoenicia LLC. The Lunar Lions from Penn State are the only university team that is competing. Astrobotic is a spin out from Carnegie Mellon, just a few hours down the road from State College in Pittsburgh. Thanks @glxp @Robohub! @LunarLionPSU what is the story with your launch arrangements? The story of the Lunar Lions ride is actually quite interesting and shows how the Google Lunar X Prize is making humanity’s future in space a reality. 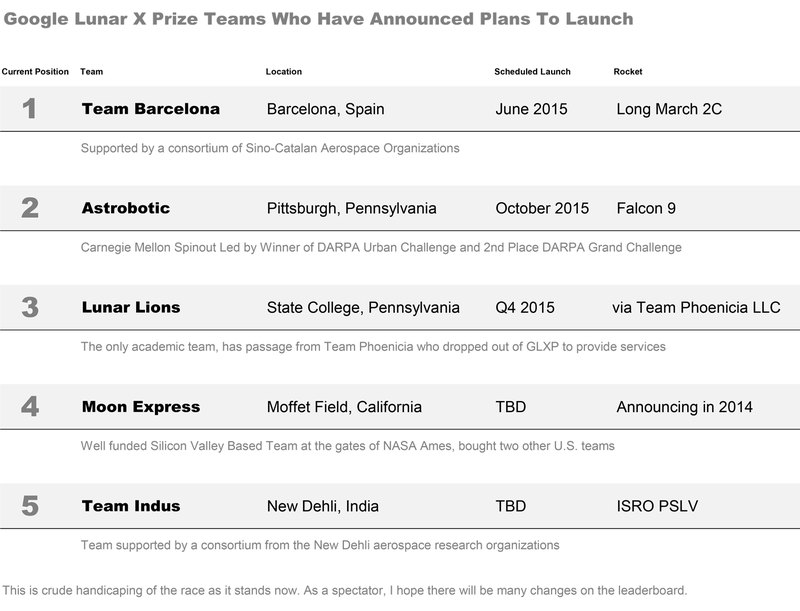 Team Phoenicia was originally a GLXP competitor. However, in looking around at launch services, the team discovered that there was excess rocket payload capacity that was hard to purchase: surplus capacity on flights scheduled for other customers. Team Phoenicia dropped out of the GLXP and now runs a business breaking up the payload capacity of rockets. Since the Lunar Lions don’t need all the spare payload capacity, some is going to be sold to other customers who want a ride to orbit. Some of this capacity will be to low Earth orbit, but at least two cubesats will also make the ride to lunar orbit. 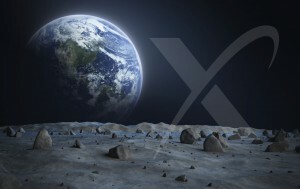 When the GLXP says we are going back to the moon for good they are serious. We are going back with an armada! Though I’m a bit late in reporting this, I believe that the leader board above now accurately reflects the launch dates that have been announced as of the end of 2013. Once again, please note that the the leader board does not yet take into account the certainty of the launch date or the likelihood of a team succeeding. More team disclosures would give us a better picture of how things are heating up!